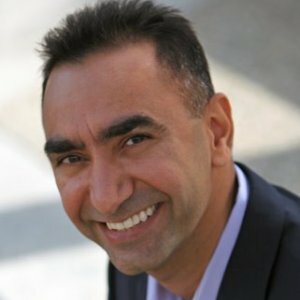 Jag Randhawa is a Technology Executive, Professional Speaker, Executive Coach, and award winning author of the book “The Bright Idea Box: A Proven System to Drive Employee Engagement and Innovation.” Jag has more than twenty years of technology industry experience with a strong track record of building high performance teams and award-winning products. He is the mastermind behind the MASTER innovation program and the founder of Idea Employee Labs, a technology and management consulting company. Jag is a thought leader in the technology industry, and a highly respected and sought after speaker at leadership conferences. 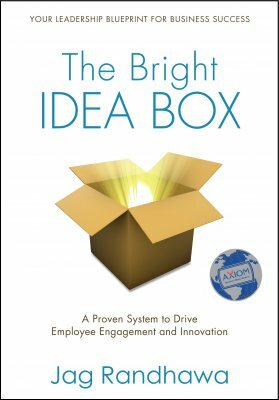 Please call (888) 804-6919 or email Jag@IdeaEmployee.com or contact through my website http://TheBrightIdeaBox.com/Contact for inquiries and speaking schedule. I emailed my boss in the middle of Jag's presentation to implement this program. Aha moment: innovation does not equal to invention. I loved the way Jag engaged everyone. Innovative thinking is a lifestyle. It is a skill. And above all, it is a skill that can be learned. Ideas are always around us, but we are often not in a state of mind to recognize them. Innovation requires a certain mindset to connect the dots and generate ideas. Just like mastering any other skill, innovative thinking requires building and practicing some basic habits to see opportunities in everyday life. Learn the habits of some of the greatest innovators, from Leonardo Da Vinci to David Kelly, to awaken the innovator inside you.